It is at my discretion that instead of to holistically and bogusly addressing the noble British commission; let me have a priority. This shall not be one of those letters written in tears but a rare one written with courage and vigor. The vigor of a dying man that has nothing to lose; as a product of your noble experiment seeking to be human or have taste of freedom, death is meaningless to me. The very moment I understood that I was a noble experiment; I also realized I could die any moment and I now wish to die once and for all. I will love before anything; sound it clearly to you that it is Biafra or death; I might be dying today but tomorrow may decide to die with everything you created in your economic estate- Nigeria. 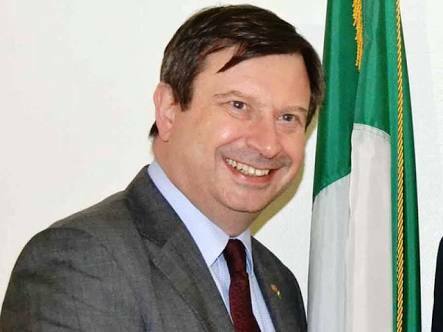 However; this letter shall be prioritized to you Paul Arkwright, for your statement, it is most unfortunate that at the very moment my people were dying on the streets of Igweocha (Porthacourt), you were telling us of unity by force. It is most unfortunate that the very moment my people were being slaughtered on the streets of Igweocha was the very moment you are telling us that all you care is unity. This unity implies that we must stay where we are massacred and that you are very optimistic to continue to see our blood flow. This is a repeat of 1967 when you supervised genocide against us; the people of Biafra suffered starvation and all kinds of crime against humanity. You looked on and defended your stooge; you armed Nigeria for our total decimation. You told the world all kinds of lies to ensure nobody helps us or save our lives, all you wanted is the oil and everything you created Nigeria for. We have moved on since 1967 but you seem not to have moved on. You are still in the euphoria of the 1967 genocide that ensures the sustenance of your economic hub. A time you should be condemning evil and unlawful execution of the people of Biafra; you are promoting unity that is the bane of the people of this world. A time you should be urging Nigeria to apply law and avoid excessive force; you are talking about unity of Nigeria. You are indirectly urging Nigeria to keep killing and destroying lives of the people of Biafra. By virtue of declaring unity a time you should be deploring is a clear sign of support for the ongoing genocide. What is this obsession with unity? Are you more concerned about unworkable unity than workable one? What have you done to address the killings and corruption in Nigeria; what have you done to address nepotism that is the order of the day? What have you done to address marginalization that has been visible for over 48 years? What have you done to bring about peace and stability in Nigeria? what have you done to ensure Biafra land decayed as a result of oil spillage is cleaned, what exactly have you done to give reason or room for unity? Mr Paul; are you this daft that in 2017 you are forcing unity on a people, are you not from the country that is said to be the first democracy in the world? Are you not from the world's most civilized country ; why are you forcing unity on a people? Are you blinded by what Nigeria gives you; the gold and the silver, the water and the oil, the bread and the tea, what is it that blinded you and killed your conscience? What on earth was your motive that at the point a people were being massacred, you are telling them they must stay as one - that place they are being killed, you don’t support them leaving to save their lives? Now as Nigeria kill and maim; you pass the clear message why they kill, Nigeria kills for the unity you profess, they technically work for you. It is also very clear that you are the person that sent out Nigeria to kill and destroy lives to maintain your position. Mr Paul; don’t be offended that I am this blunt, what do you expect of someone his family is being slaughtered by your unrepentant stance. Mr Paul you and I know that unity by force is nothing but slavery; how much more you a civilized man wanting slavery this much. You seem to be disinclined to reason but sheepishly or blindly making statements. Your obsession is driving us to pit of hell; I assure you that when the people of Biafra will turnaround against their killers, you will regret so much the monster they have become. We have moved on from 1967 nobody knew what was happening in Biafra; we have moved on from 1967 that you dictate who lives or dies. Finally; Mr Paul I want you to look beside you and cherish that your child, wife and beautiful family, you make statement of unity at a time you are supposed to condemn killings because that your family never had the taste of pain and death. If your wife is the mother of the son murdered by Nigerian security operatives for wanting his right that you are against, you would know how to make statement condemning evil and crimes against humanity. If your children have stayed a day without a meal; you would have known to give men freedom to be what they want to be. If your family lived in same place with Boko Haram; you would have known the need to find a safer home. You make statements declaring that you are for the unity of Nigeria without constraint; you do such to inflict pains on the dying victims of unity. You do such at a very time unity needs building and not forcing it upon Biafrans at gun point. Your obsession is quite strange but one thing is for certain; this unity you proclaim at the detriment of Biafrans will not stand. You can say everything you want; you can go anywhere you want, at the end of the day, two things are involved, it is either we all die or Biafra comes. I urge you to start seeking a diplomatic relationship with Biafra nation than mere words of unity that never existed.